The beautiful and stunning dress for Miss Japan 2012 as well comes out of the house of Azul. Miss Tyako Coage, our lovely Miss Japan 2012 made her way to Mami Jewell, as many do every year, as she is one of the most respected designer for incredible evening gowns. 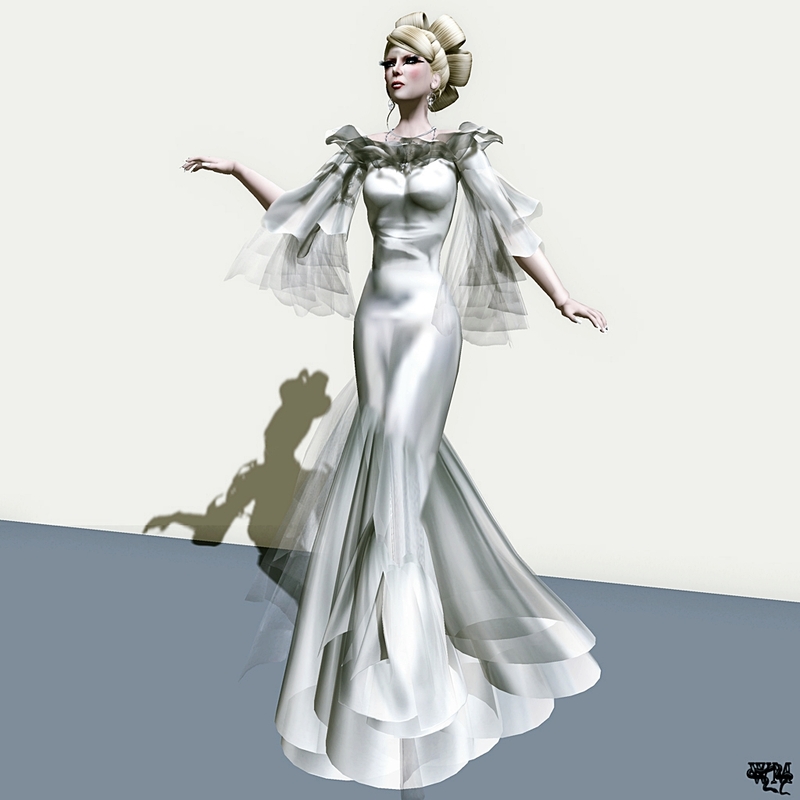 Her skills for designing and texturing are so amazing that it is no wonder so many girls try to get an Azul gown for the Miss Virtual World competitions. This entry was posted in Fashion, New Releases and tagged 3D, 3D people, Alienbear, Art, avatar, Azul, beauty, beauty peagant, beauty pegant, Blog, Blogger, BOSL, Challenge, Clothing, contest, Couture, Dress, evening costume, Evening Dress, Evening Gown, Fashion, Fashion in Pixels, fashion poses, Female Clothing, female wear, Formal, formal attire, Frolic Mills, Gown, Hair, High Fashion, Jewelry, Loev Soul, LoveSoul, Mami Jewell, meta virtual, Metaverse TV, Miss Japan, Miss Japan 2012, Miss V Japan, Miss V Japan 2012, Miss Virtual World, Miss Virtual World 2012, Model, model pose, Model Poses, Modeling, Modeling pose, Modeling Poses, Morgane Batista, MVW, MVW 2012, New, New Release, New Releases, News, photographer, Pose, Second Life, Secondlife, SL, SL Clothing, SL Fashion, SL Style, Style, Tyako Coage, Virtual World, Wicca Merlin, woman. Bookmark the permalink. Excellent piece, and this one is a good candidate for entry into my Oscar Fashion Photo Contest. If you’re interested, get the first picture onto Flickr, and then submit it to the group in the link. First prize is L$2,500.